Yes it has been very wet and very windy here, but it seems to be quietening down now, I even ventured out with the camera yesterday for an hour, however the rain soon came and drove me away. On the up side – because of the bad weather – it has given me a chance to dig through and sort some of my old photos out. First up is a photo I found from a time when I was young and single and thought the world was my Oyster. It’s a pic of me and a band member in a group called the Rikki Alan Trio. We were quite ahead of our time in Wales and unusual for a rock group in as much as we all read music. This came in very handy later when we ventured up to the big city (London) to become ‘Professional’ Musicians. Anyway, that is a long story and I don’t know if this is the right place to start digging it all up in any detail, but maybe bits from time to time. Suffice to say that this photo shows me and one of the guys – Gerry Smith – in about 1957. We are way up in the Welsh Valleys in a place called Aberaman and we are bottom of the bill which is headlined by a British Rock star named Marty Wilde. The interesting thing about this pic is, looking at the kids who are watching us and the way they are dressed etc, you would think it was taken in the 1930’s. This was at a time when coal mining was still a huge industry in Wales and the biggest employer. However, today there are no mines, well maybe one or two private mines, but there are lots of bits of bits of memorabilia around, this next pic is just one such piece. This was taken in a place called Mysycymmer (at least I think that’s how it is spelled) and it is of some of the coal trucks that were left when the mine was closed. Rather than dump them some clever person decided to make a memorial out of them. Lastly, for this blog, is another photo of me (well it’s my blog). We started with a pic of when I was a young whipper snapper who thought he was God’s gift (soon found out that he wasn’t when he got to the city)! And, we end with a photo taken some 15 years later. Picture is me on drums, the late Peter Bocking on guitar and the late and very great Lonnie Donegan out front. This was taken in Lounge at the Riviera Hotel in Vegas where we were supporting Vic Damone. Very briefly Lonnie was known as the King of Skiffle, he was responsible for every kid in the UK buying a guitar and starting Skiffle groups. We all had a Skiffle group. Even the Beatles started as a Skiffle group, they were called the Quarrymen, but I guess my dear readers will all know that. Whatever, to this day Lonnie is hailed as the one man who started the whole British Rock and Blues industry because, after the Skiffle groups, all the budding musicians – as they became more and more proficient – turned into rock groups. Many of the stars of today name Lonnie as the one reason for starting them off in their chosen profession including: Eric Clapton, Brian May, Elton John, Paul McCartney et al. The list is endless. I was very fortunate when that day he walked past my drum kit in a London music store where I was demonstrating the product, and dropped his visiting card on my floor tom-tom and said, “if you ever need a gig give me a call”. Needless to say, I called him the very next day. Great to learn more about your first years in the music business. The Marty Wilde picture is great. Must have been some fun days! Hi Munchow, thanks for dropping by my undernourished blog it is most appreciated. Yes there were lots of fun times. I am trying to decide the best way to record many of the anecdotes and little stories of both the good and the bad. At the moment it seems that Blurb could be the way to go. Fun trip down Memory Lane. And regarding birds, we have a couple of pairs of Red-tailed Hawks. In fact, as I am typing this, one just came in and landed on a branch just outside my office. He is magnificent. We love their keee-ing! 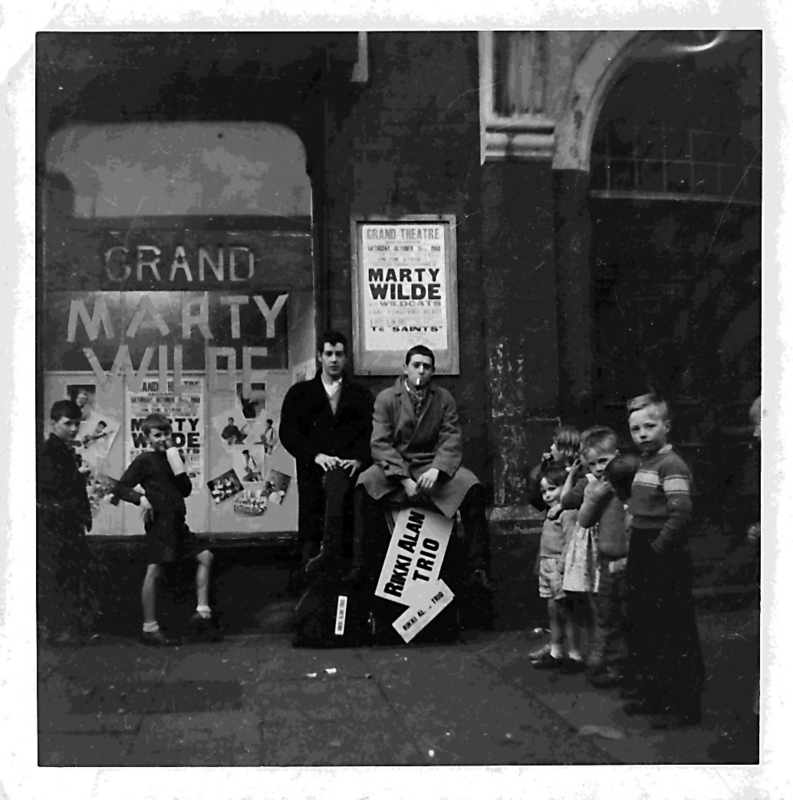 Absolutely love the Marty Wilde photo ! Thanks Helen, appreciate you dropping by. Great foto here Mark!! Timeless. What a huge place you occupy during a world-changing & priceless musical evolution which can never pale. “Evolution” marches on. Nothing can go backwards & erase evolution. Grounbreakers are the heroes of the future. Arlo my friend you are too kind but, thank you for your kind words and support. I trust you and yours are well and I wish for you everything you wish for yourself in 2012. Cool coal trucks and a nostalgic post for sure. Enjoyed reading and looking at the B&W and you are right, they are timeless. Great stories. 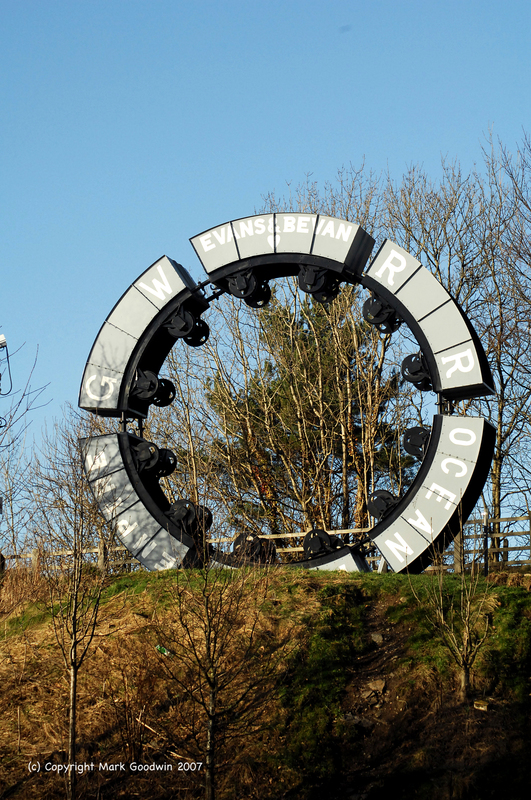 First off – who bent those coal trucks to make that circle? That’s some sculpture. 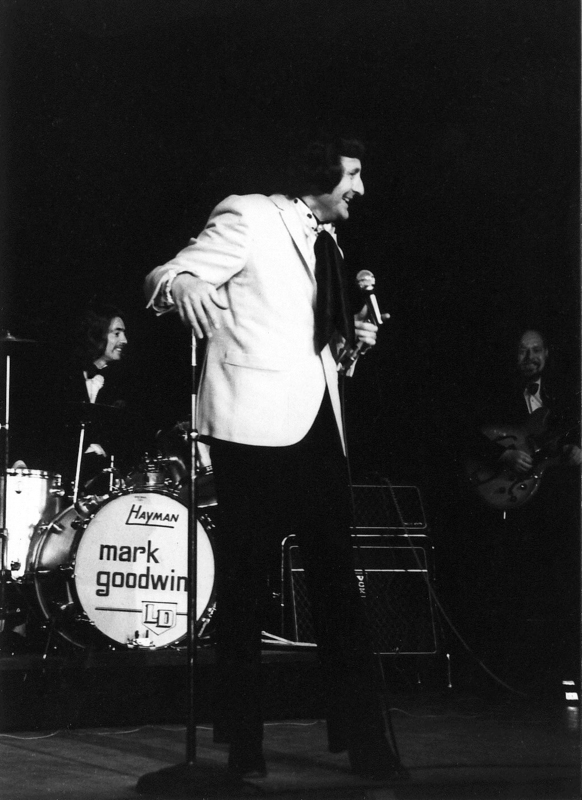 Second – I remember Lonnie Donegan, my dad was a big fan, (and so was I for that matter) – it all looks so ‘trendy’… it was great that he happened by as you practiced… it all comes down to ‘right place – right time’ – every time. When I was a kid I had this passion for music, so much so that I used to practice a minimum of 5 hours every day. And, it’s strange that some 50 years later whilst studying for my MBA I read the quote “The harder I work the luckier I get”. Which has been attributed to a number of leading Industrialists, but I think it was originally said by the 3rd President of the USA Thomas Jefferson. Same thing I guess. Bottom line? You are absolutely right, you have to be ready, and you have to be out there mixing it and networking, putting he name about, ‘Self Marketing’. This was me as a young feller full of the joys of life, playing with the King Of Skiffle the legendary Lonnie Donegan. This was taken during a live performance on German TV in 1971. I hope Lon has linked up with all the other great music friends on the other side.